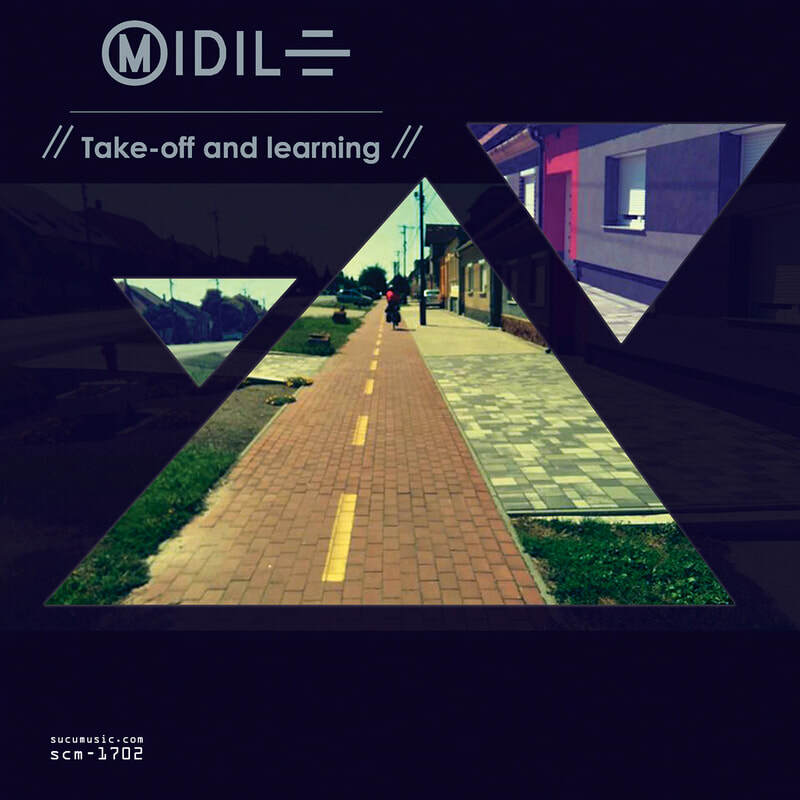 “Take off and Learning” is the first solo release of TNKS’s guitarist Michele Di Leonardo under his MiDiLe pseudonym. The album is conceived as a three-part cosmic trip including a take-off, learning and final landing. Drawing from his deep and prolonged listening of composers like Krzysztof Penderecki, Karlheinz Stockhausen, Jonny Greenwood, Brian Eno e John Cage, MiDiLe creates and assembles sonic landscapes of different nature, from the cavity-deep, disturbing, voice-haunted, quasi-free-form opening track, “Born Now”, to the soothing guitar arpeggios of An Echoing Spring. The spacecraft, whatever it may be, is in orbit now and almost marvels at the sight of the multicoloured marbles that are the planets suspended in the cosmic blackness of space. The atmosphere is rarefied here and the sparse synth sounds counterpointing the guitar arpeggios all but highlight the weightlessness of this track. The third étape in the trip is “Ground Substance”, and almost concrete, tri-dimensional affair in which experimental sounds come and go like brief apparitions of alien beings in an alien jungle. “First Impressions” features clean guitars succumbing to the all-engulfing power of synths that seize the field like swarms of mechanical bees. No rhythm is allowed in this trip, and when the guitar steps in again, creating a semblance of ear-soothing chords, the synths seem to rebel against such normalcy with their cries and hisses. A subdued, crickety, atmosphere heralds “Time 12.54”, for the first time we have an idea of percussion, as a contrast with the eerie, sparse sounds the track is made up of. Picture yourselves in a gorge on one of the exoplanets MiDile’s trip wants to take us, and you’ll get a fairly accurate idea of what this minimalist piece of music is all about. “Euro Odyssey” has a sort of Zeit-era Tangerine Dream feel to it. No form nor shape for this, the longest track in the album. Just sounds collected and processed during this interstellar trip with a sort of miniaturist feel. The track evolves then into a comet-of-the-mind coda in which prolonged sounds merge and shine, bright and hot, lighting up a new passage or a new universe. “ViBow” recreates the sounds you could possibly listen to in a spaceship cockpit, or engine room. Noisy and glitch in parts, liquid and soothing in others, in a perfect blend of concreteness in music and electronics. “Phone Arrival” features Flavio Giaimo’s digital piano, whose sound is stretched and processed but not beyond recognition. Our spacecraft has landed, and we are exploring empty rooms wherein each sound echoes and reverberates. Circumspection is of the essence, so the music proceeds in wary steps, careful to look attentively at each dark nook and cranny it could come across.